U.S. Treasury Secretary Jack Lew has high hopes that the new Chinese government will undertake some of the economic reforms the United States has been pushing for years. Lew expects that new leaders will support changes that will bring China toward a more market-based economy -- including scaling back subsidies for Chinese firms, eliminating artificial controls on the currency and strengthening copyright laws. "The changes are going to be disruptive," Lew told CNN's Fareed Zakaria, as talks between U.S. and Chinese officials get underway in Washington, D.C., this week. "I suspect the moves toward more market-oriented reforms will be clear. But the pace will probably be slower than we would like." Chinese officials are in Washington for the fifth annual Strategic and Economic Dialogue, a round of informal talks aimed at fostering greater cooperation and understanding between the two countries. It's the first round of such talks since a changeover in Chinese leadership in March. This year, cyber security and copyright infringement will be high on the list, given recent revelations that the Chinese military was reportedly involved in a series of sustained cyber attacks on U.S. companies aimed at stealing trade secrets. 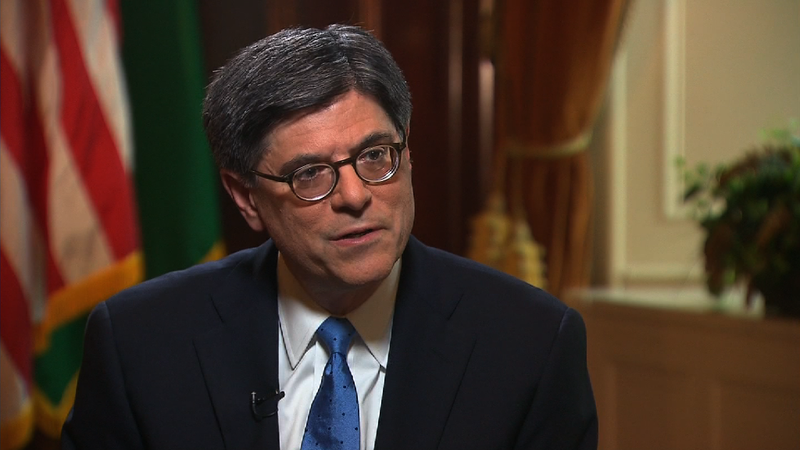 "Cyber theft of trade secrets is a real form of theft," said Lew. "And it's something that we've said has to stop." Getting the Chinese to see it that way may be a hard sell though, especially in light of accusations from former National Security Administration computer expert Edward Snowden, that the United States had been eavesdropping on the conversations of private citizens and hacking computers the world over, including at Chinese universities. Lew attempted to draw a distinction between the two. "There are all kinds of reasons that governments collect information on a variety of topics," he said. "It is not the accepted practice for a country to steal trade secrets from another country." On the currency front, Lew said he still intends to push the Chinese to abandon currency controls despite a 30% rise in the yuan -- also known as the renminbi -- over the last few years. "We'll continue to raise the issue until we get to where we need to be, which is market-determined exchange rates," he said.